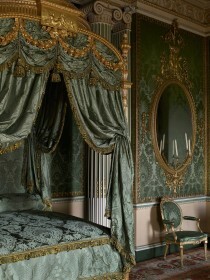 Thomas Chippendale is the greatest and most famous English furniture maker from the 18th century. 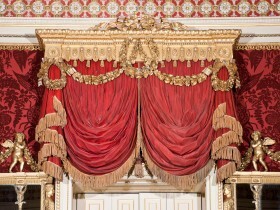 In 1767, Chippendale received the largest and most lucrative commission of his career, worth more than £10,000 – to furnish the newly built Harewood House in Yorkshire. 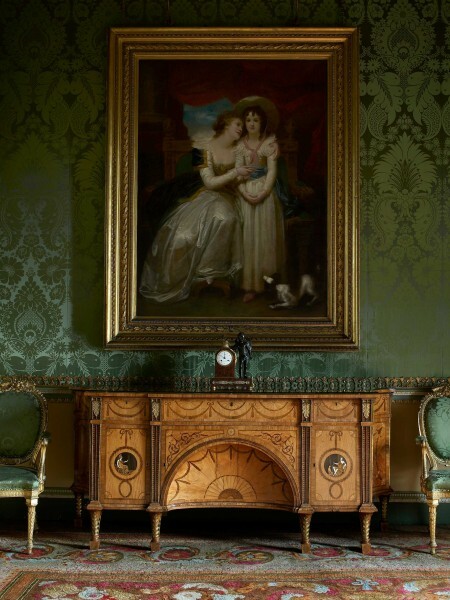 Located just a few miles from his birthplace in Otley, Chippendale left no room at Harewood untouched, providing a vast range of furniture and soft furnishings including tables, chairs, sofas, beds, commodes, looking glasses, curtains, pelmets, wallpaper, carpets and covers. 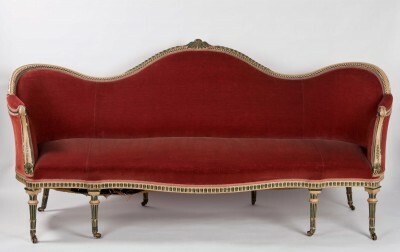 He not only provided sumptuous highly crafted pieces of furniture for the grandest rooms of the House but also simple, functional items such as garden benches. 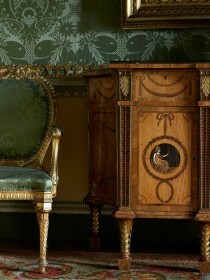 Today, Harewood House is home to some of the most outstanding pieces of Chippendale furniture ever produced. 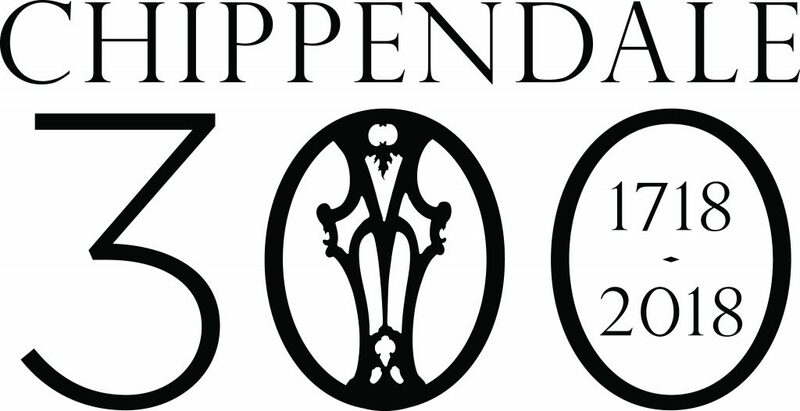 To celebrate the 300th anniversary of Chippendale’s birth, a series of exhibitions and displays will demonstrate and take inspiration from his brilliance as a designer, maker and a decorator. 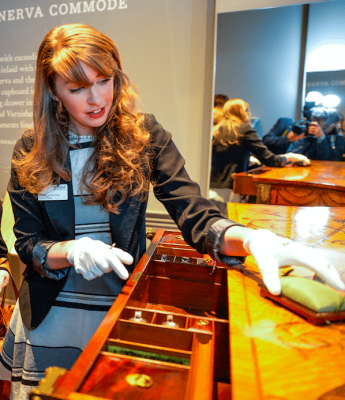 Our 2018 season highlights will include an innovative display to show Chippendale’s most magnificent creation, the Diana and Minerva commode, in new light, as well as an exploration of two key interiors of the House following the discovery of a long lost Chippendale mirror. 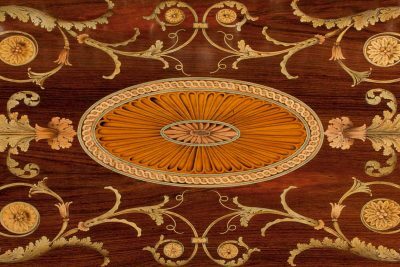 An exciting programme of contemporary artistic responses will explore the journey of Chippendale’s furniture from ‘tree to table’, and a series of workshops will consider Chippendale’s exceptional craftsmanship and breadth of talent. 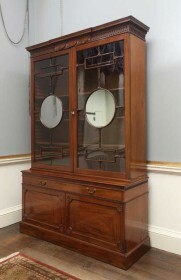 During the ‘Chippendale 300’ celebration in 2018, we will be posting further information about the Chippendale collection at Harewood, kindly sponsored by Christie’s. Keep up to date with all the latest research.